Brilliant Blingy Bracelets are here! Summer arrives in Vancouver! Bring out the sparkle!!! Another reason to Love SWAROVSKI ELEMENTS! 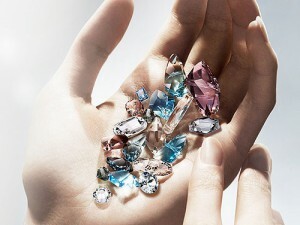 Far-reaching developments are afoot at Swarovski, with the announcement of a dramatic change to the DNA of its crystal. By September 2012, SWAROVSKI ELEMENTS will have its entire assortment switched to the new ADVANCED CRYSTAL standard – a patented, LEAD-FREE formula that is much more than merely compliant with the strictest laws on the planet. Hassle-free, rigorously tested and completely reliable, it is quite simply the most advanced crystal composition on the market today, providing perfect peace of mind. Shine on with ‘shyne’ – June’s Star of the Month! You have to see the new spring crystal color: luminous green in action… check out our video.